Take the inconsistency out of tax preparation. Standardize workflow with consistently-organized tax workpapers—no matter what order the documents were scanned in. Save hours finding and reviewing tax data and free up your professional staff to move more volume this tax season. GruntWorx Organize makes it easy for support staff to scan and automatically index client source documents—allowing you to focus on high value activities and high quality customer service. GruntWorx Organize is an easy-to-use, accurate, and affordable solution that meets the needs of tax professionals in any size firm. Unprecedented accuracy with GruntWorx’s patented Data validation services. Just scan a client’s “shoebox” of tax documents. GruntWorx Organize automatically identifies, organizes and labels the scanned tax documents in a PDF file, with the document issuer’s name on each bookmark. The labeled bookmarks allow you to quickly find and review any tax document in even the most complex returns. Improves productivity. Easily find and review any tax document. This automated process for organizing and bookmarking scanned tax documents eliminates the time-consuming manual task of identifying and sorting client documents before scanning. Consistent tax document organization for every client. Standardize your workflow with consistently-organized tax workpapers. 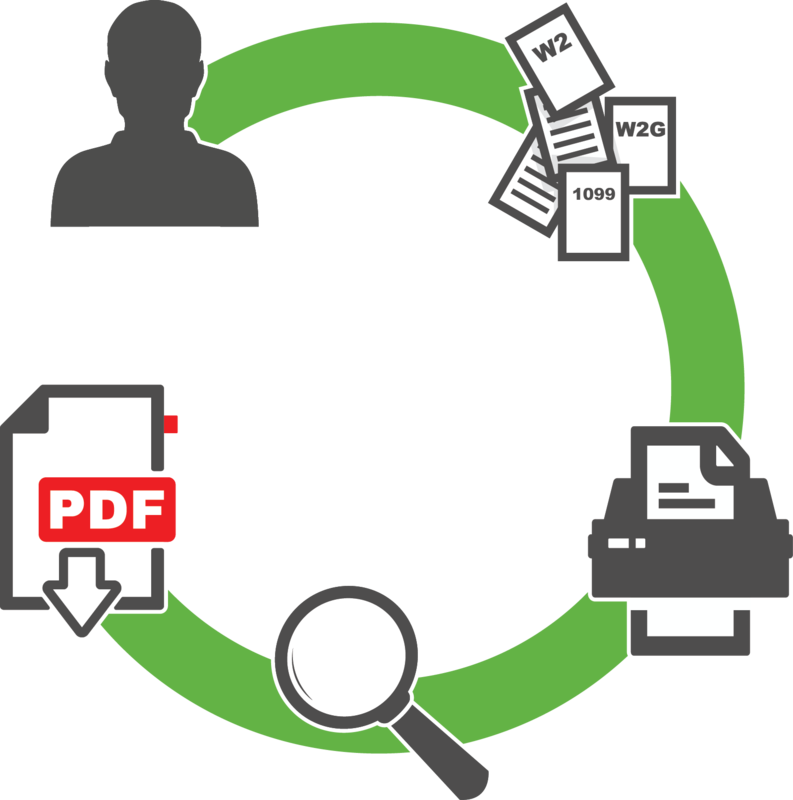 The GruntWorx Organize PDF output is bookmarked in the same order every time, no matter what order the documents were scanned in. Hand off document organization to support staff. GruntWorx Organize requires no knowledge of tax documents, making it easy for support staff to scan and automatically index source documents—freeing tax professionals to focus on higher value activities. Automated process for organizing and bookmarking tax documents that fits easily into existing workflows. Recognition of more tax forms, with greater accuracy, than any other solution available. Intuitive web-based interface—no software to install and no training or set-up necessary. Absolute security: our hosted solution offers the same advanced data encryption found in the most rigorous online banking applications. Edit and add tick marks or notes from multiple users.